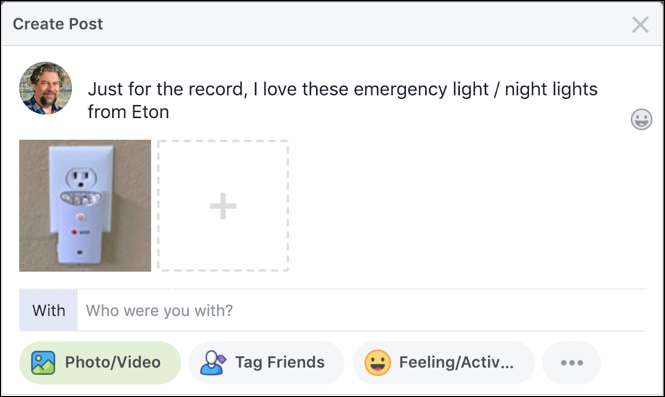 The “@” shortcut for referencing people or other pages on Facebook worked really well when there were thousands of options, but now that there are a zillion people on Facebook and business pages on Facebook both, it can be quite frustrating – and all too common – to end up unable to find the right page in the list. 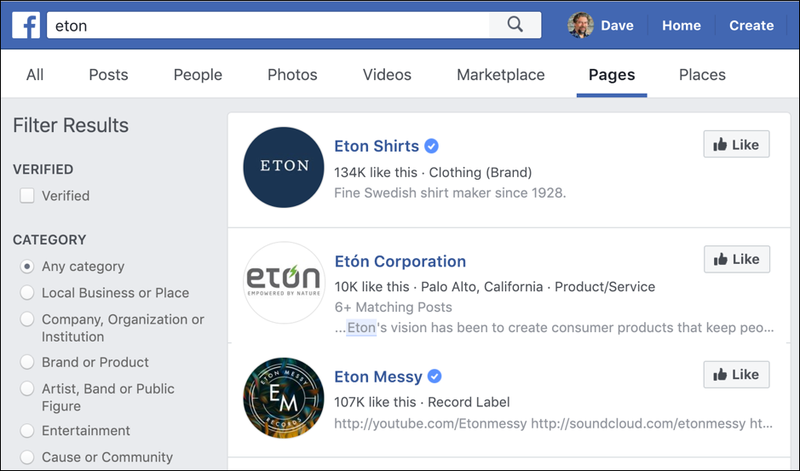 It’s a namespace collision problem; if you’re looking to link to the page for the local Tony’s Pizza, well, there might be hundreds of matching business pages on Facebook, a service that encompasses users and business throughout the world. Lots of matches with the letters ‘eton’ but none are the actual company in question. Frustrating! Now what? But now how do I reference the correct Eton, having ascertained that they are indeed on Facebook and what their official page name is? 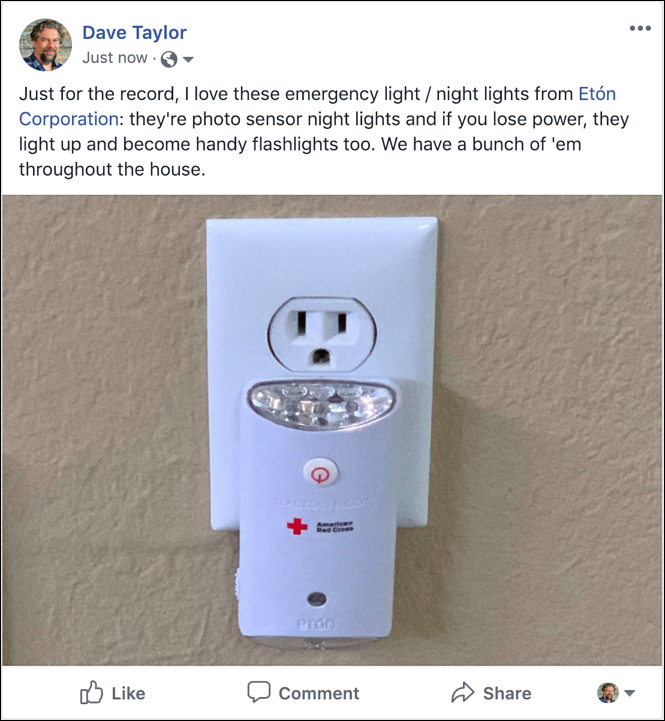 There are two approaches: You can click on the page and see the URL shown by Facebook (in this case it’s “https://www.facebook.com/EtonCorp/”) or you can just type in the exact name shown in the results. Notice that the “@” vanishes and the business page link is shown in blue, inviting people to click and check it out, as desired. So that’s the trick. 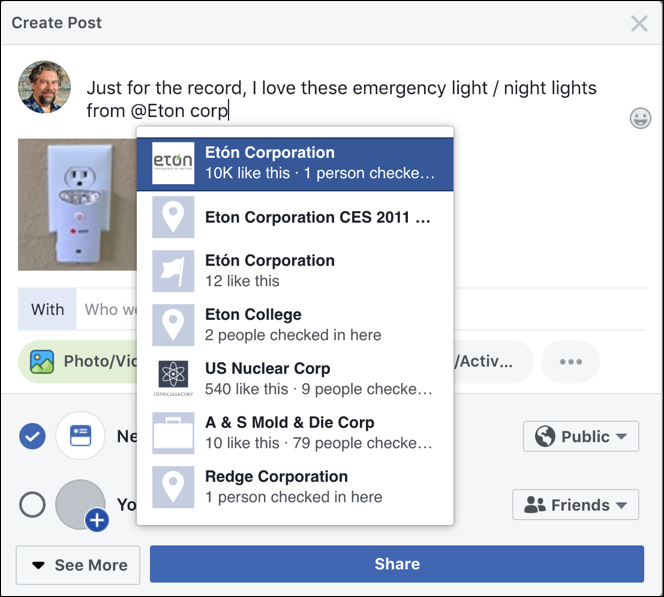 A bit tedious, but with Facebook as crazy popular as it is, the change of name collision and confusion is probably inevitable, however much AI they might try to add to the back end. Pro Tip: I have been writing about Facebook tips and tricks since the beginning of the social media service. Please check out my extensive help library while you’re here!